In a medium bowl, toss together oranges, grapefruit, and jícama and refrigerate for at least 45 minutes. Shortly before serving, peel and slice avocado. Add it, cilantro, and radishes to the mixture. Toss with salad dressing. Line a serving bowl or platter with romaine and optional radicchio. Spoon salad mixture over romaine and toss gently a time or two. 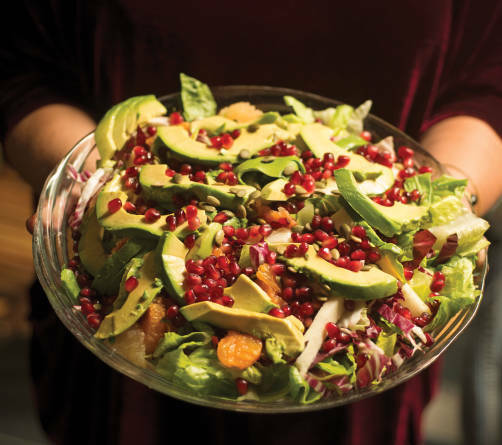 Scatter pepitas and pomegranate seeds over salad and serve.